Ralna English is an accomplished country and gospel singer who built a successful career singing in commercials and night clubs before landing a regular spot on the Lawrence Welk Show with her husband, Guy Hovis on the Lawrence Welk Show in 1971. Guy and Ralna became an instant sensation, appearing from 1970 to 1982 as the most popular husband and wife team ever to appear on the Show. Ralna English met Guy Hovis in 1969 at The Horn, a Santa Monica, California nightclub where they were both performing. Sadly, in 1978, following the birth of their daughter Julie, Guy & Ralna legally separated. As Ralna explained in an interview with Midwest today, "Guy and I were passionately in love, but we never really liked each other." As she revealed to Larry King while a guest on Larry King Live, in 1980, Ralna had a nervous breakdown which she overcame with the help of medications and medical supervision. After divorcing in 1984, Guy & Ralna pursued separate careers. Ralna continued her gospel singing while Guy became an advisor to childhood friend, Senator Trent Lott of Louisiana. After Lott retired from the Senate, Guy began singing again with Ralna and they are again performing together regularly. Ralna also is a good friend of pianist, Jo Ann Castle, and supported her during Castle's recovery from several drug overdoses. In 2010, Ralna, celebrated the marriage of their daughter, Julie, in 2010. 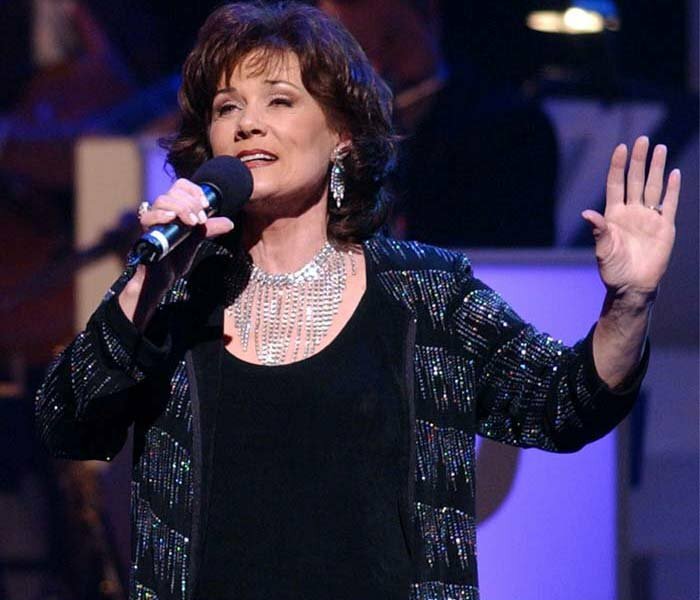 Ralna keeps a busy schedule of appearances across the United States and Canada, often appearing at the American Music Theatre in Lancaster, PA and the Welk Resort in Escondido, CA and Branson, MO.